Please call the office for hours and availability. Hours are always listed on the answering machine. Our friendly staff are always happy to help. Please call us with any questions you may have or to arrange your appointment. 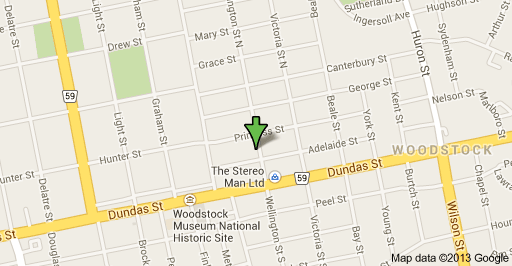 Located 1 1/2 blocks north of Dundas Street on the west side of Wellington Street. Free 2 hour parking is available in the Coleway Parking Lot (located off Adelaide Street behind the Charles Dickens Pub).